Register for Pittsburgh Convention Today! If you haven’t registered yet, there is still time to take advantage of best value pricing and be part of what some call a “life-changing” experience. Limited space is available in all programs including Youth & Adult, Brothers & Sisters, and Kids’ Camp. Still not sure if the convention is right for you and your family? Check out the amazing workshop schedule or the exclusive specialty tracks we are planning just for you. 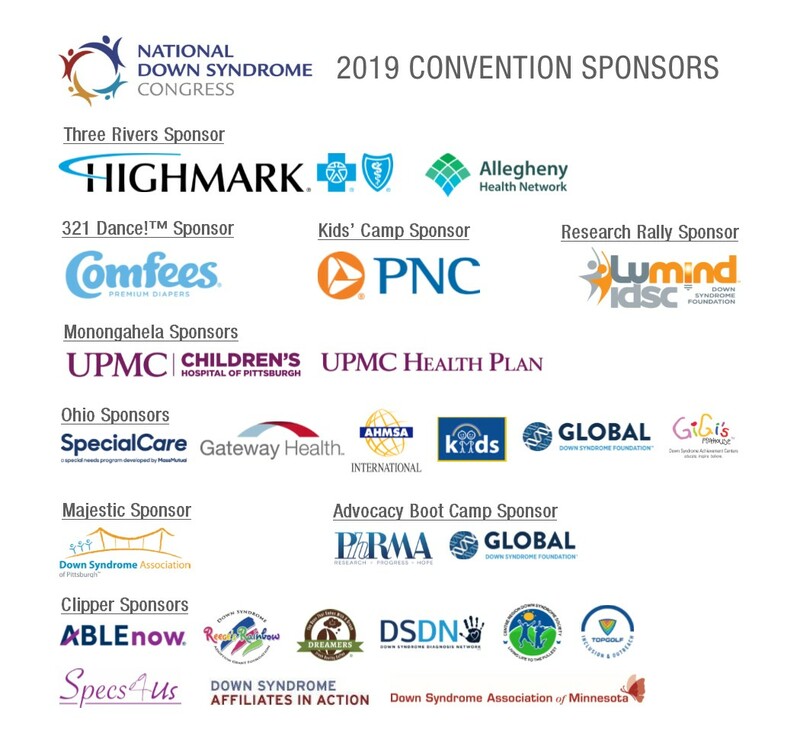 If you have completed your registration and you want to add a pre-conference session, Evening of Champions tickets, 2019 convention t-shirts, or would like to purchase workshop recordings, call the NDSC office at (800) 232-6372- we will be happy to assist you. 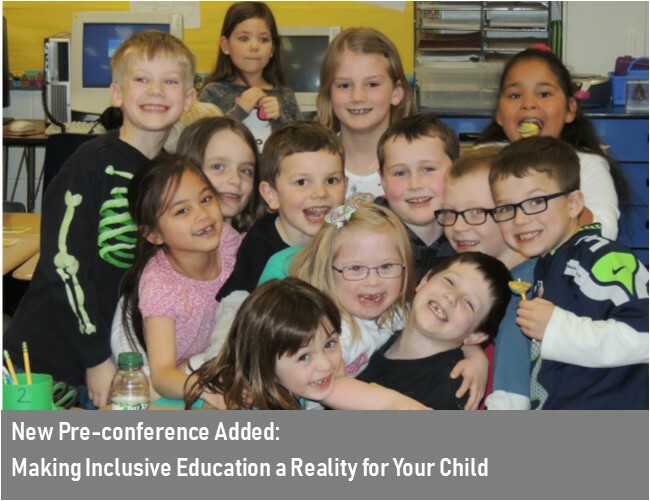 Led by two of the best education professionals in Pennsylvania, this session will engage participants in defining an inclusive education and discussing the importance of having high expectations and presuming competence for learners with Down syndrome and other disabilities. The session will facilitate families in creating a vision for their child and identifying important information to address at their next IEP meeting. If you already completed your convention registration and you want to add this education pre-con session please call the NDSC center at (800) 232-6372. Looking for a way to spotlight your child with DS or advertise your product? The Souvenir Journal reaches every attendee, exhibitor, and sponsor participating in the convention and is a perfect opportunity to send a message. Messages may provide information, recognition, good wishes, or may memorialize an individual. Messages start at just $75. Check out the Souvenir Journal Message Application for more details. Applications are due May 22. Did you know the NDSC is hosting its 3rd annual Educator Conference? On Friday, June 28, from 8:30 AM to 4:30 PM at the David Lawrence Convention Center, teachers, para-professionals and administrators working with students with Down syndrome and other intellectual disabilities including autism will have the opportunity to participate in this full-day experience. Experts on behavior, technology, literacy, modifications, and accommodations will provide attendees with proven strategies and research-based content. CEU’s will be provided. Visit the Educator Conference webpage for more information on speakers and topics or to register. Parents, please help us spread the word by passing this on to your child’s teachers and administrators. Have you visited the NDSC’s Planning Your Trip page on the website? Here you’ll find special discounts on car rentals and airfare plus tips for planning your trip to Pittsburgh. If you are still trying to reserve a hotel room for the convention, the Omni William Penn Hotel still has rooms available at the convention rate for all nights. If your plans have changed and you no longer need your hotel room, please call and cancel it ASAP. This allows families to access the convention rate before it expires on June 4. To start, the NDSC Policy Team is holding their 2nd annual Advocacy Boot Camp. This half-day session will empower you and your self-advocate with the skills needed to enact positive change in your community. Global’s Research and Medical Care Roundtable is another half-day session that includes lunch and the opportunity to hear from world-renowned scientists on the latest in Down syndrome research. Next, there is a two-hour College Fair designed for parents and self-advocates to hear about post-secondary opportunities all around the country. Finally, Lumind-IDSC is planning a Research Rally to help ignite families’ interest around Down syndrome research. All of these programs are free to NDSC attendees. Your RSVP is required.